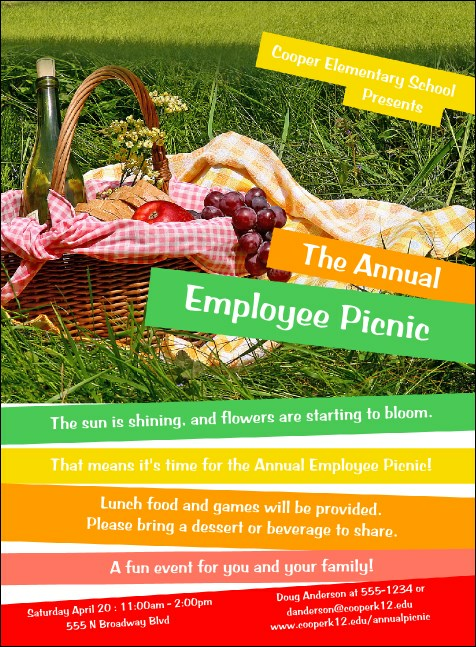 Invite friends, family, and co-workers to a delightful afternoon in the park with the Picnic Invitation. This template, printed on high quality card stock, features a high resolution image of a picnic basket in the grass, filled with wine, fruit, and bread. Fourteen lines of text let the guests know where and when the celebration takes place. Get that RSVP ASAP with the right invitation from TicketPrinting.com.